Meet our contributors that are part of making the Altibox Norway Chess 2019 edition a fantastic event. During the tournament we gather people that are exerts within their field, assuring that all aspects of the “behind the scenes” of the tournament is well taken care of. Judit Polgar is the greatest female chess player of all time. Judit Polgar from Hungary is considered the best female chess player in history, two-time Olympic champion. At the age 15 she broke Bobby Fischer’s record by becoming the youngest Grandmaster. She has been ranked the world number one female chess player for over 25 years, and on the occasion of this exceptional achievement she was awarded a Guinness Record in 2014. Ranked in top 10 in the Open (Men’s) World Rating list and participated at the World Championship tournament in 2005. During her career Judit has defeated several world champions, including Kasparov, Karpov, Anand and Carlsen. Silver medallist member of the Hungarian Olympic “Men” National Team, first in 2002 and repeated the success in 2014. After winning the silver medal at the Chess Olympiad the second time, she announced her retirement from competitive chess. In 2015 at the European Championship she led the Hungarian men to winning the bronze medal as team captain. 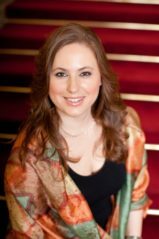 Established the Judit Polgar Chess Foundation in 2012 and is the main organizer of the annual Global Chess Festival. Judit’s passion is to promote the game, inspire younger generations and to make a difference in education. Judit Polgar is the author of prize-winning books for professional chess players and children alike. Judit and her team have developed the award-winning Chess Palace and the Chess Playground programs for children age 4-11. These educational programs use chess as an exceptional learning tool to facilitate children’s development and to enable deploying their talent through chess. The motto of the Judit Polgar educational programs: Play your way to creative thinking. Judit is also making efforts to make steps for gender equality as a “Planet 50-50 Champion” which was given to her by UN Women in 2016. Given the James Joyce Award by the University College Dublin, in 2017. 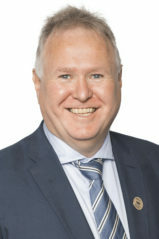 Official commentator of the World Championship Final Match in 2016 and 2018. Anna Rudolf is a Hungarian chess player, reporter and commentator who holds both the International Master and Woman Grand Master titles. She fell in love with chess through the computer game Battle Chess at the age of 4, and competed actively as a member of the Hungarian Olympic team up until 2016. Her main focus nowadays is to promote chess, and spread positivity, through all possible means she can: covering events, creating video lessons, streaming, blogging, vlogging, and being an all-around social media person. Events she covered recently include the 2018 World Chess Championship match in London and the 2019 Tata Steel Chess Tournament. She collects hats, loves good food, dancing and the French Defense. 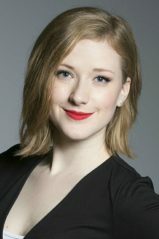 This is Anna second year as host at the Altibox Norway Chess international broadcast. Anemone Kulczak’s father taught her to play chess when she was 7 years old. She played many tournaments during her teenage years. She became arbiter 15 years ago and have arbitrated more than 80 tournaments in France and in other countries (round robin tournaments, French national championship, International Open Tournaments). 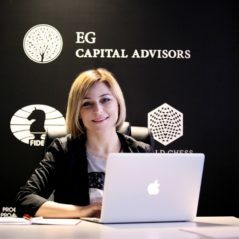 She has been also part of the organization of many international tournaments in France and regional director of the arbiters during 10 years. In Norway, She has been chief arbiter four times in Altibox Norway Chess (2013, 2014 and 2017, 2018) and sector arbiter at the Chess Olympiad in Tromsø. In daily life, she is a Human Resources Manager and HR teacher at the University of Nice. She is also a French lecturer, one of the 24 members of the steering committee of the French Federation, and she lectures national arbiter training. 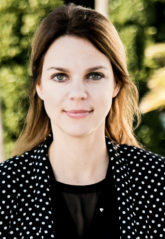 Anastasia Sorokina, is Woman International Master (2001), International Arbiter (2002), FIDE Trainer (2005) and International Organizer (2018). She was born in January 1980 in Minsk, Belarus. 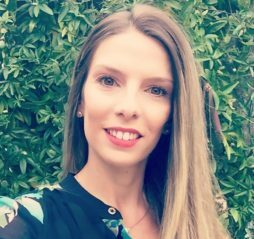 In 2003 Anastasia moved to Australia and worked as a chess coach in the Queensland School of Chess, and then in Chess Kids in Melbourne. Later she opened her own FIDE licensed Chess Academy. She currently lives in Belarus with her family. Anastasia Sorokina has been Chief and Deputy Arbiter at several World Chess Olympiads, a number of FIDE Grand Prix events, as well as numerous other major FIDE tournaments. In 2017 Ms Sorokina was elected as President of Belarus Chess Federation. Under the leadership of Anastasia Sorokina, Belarus became well-known as organizer of several international tournaments and was elected to organize 45 World Chess Olympiad 2022 and World Cups in 2020 and 2021. In 2018 Anastasia Sorokina was elected as FIDE Vice-President. Arild was born on May 4, 1966 in Time, Rogaland, Norway. He moved with his elder brothers and Faroese mother to Denmark in 1969 and to the Faroes in 1974. He moved to Denmark in 1983 to study and have stayed in Denmark since. 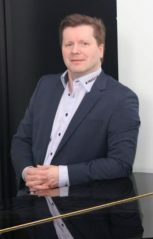 He has been the president of a company chess club, also of the former Faroese chess club in Copenhagen as well as the Nordic Chess Federation. He has also been the Youth Leader of Copenhagen Chess Union and organised more than a hundred cadet and youth tournaments. Since last year, he has been the Youth and Female Manager of the Danish Chess Federation and organised national youth and girls’ championships. 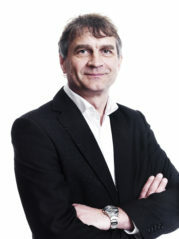 Besides being an arbiter for more than 20 years in a hundred and some tournaments, including Altibox Norway Chess 2013, and working with logistics and leadership for two decades, he has also done some filming and been acting in movies and series for the last ten years. In addition, he also writes English poetry. Advisor, Journalist. FIDE Press Officer. Anastasiya has been involved in chess since her early childhood. As a player, she has been a winner and medalist in Ukrainian and European Youth Championships. In 2003 she was awarded by FIDE with the title of Woman Grandmaster (WGM) and at the same time Anastasiya started helping organizing prestigious chess events at her university, the National Law Academy in Kharkiv, Ukraine. centers of the strongest FIDE events worldwide, including World Championship Matches (Anand-Gelfand in Moscow 2012, Carlsen-Anand in Chennai 2013 and Sochi 2014, Carslen-Karjakin in New York 2016), the FIDE Candidates Tournaments (London 2013, Khanty-Mansiysk 2014, Berlin 2018), World Chess Olympiads (Istanbul 2012, Baku 2016), Women World Championships (2010 – 2017), etc. Her interviews with top players from all these events are countless, including hundreds of hours analyzing live their chess games. resolving various issues regarding media rights of FIDE events, keeping organizers, sponsors, players and journalists happy. Lennart Ootes is a creative chess professional from the Netherlands. He works for numerous tournaments as a DGT operator, video broadcaster, photographer or web designer. 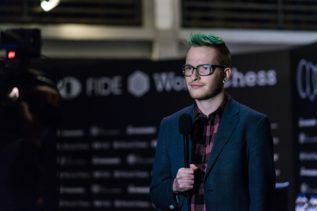 Since 2017 he is involved with Altibox Norway Chess as a DGT board operator and photographer. Lennart was awarded as best photographer of 2018 in the photo contest of the Russian Chess Federation.